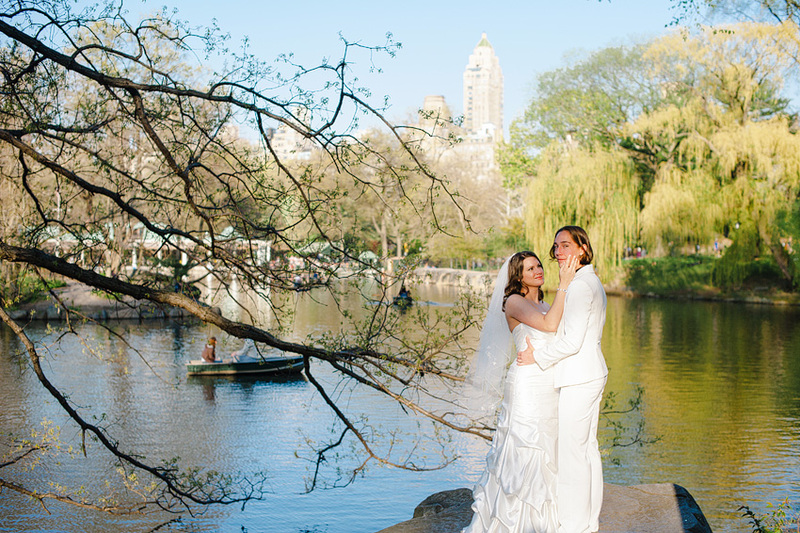 From blooming daffodils to boats on the lake, Central Park in spring is packed with people and things to look at. 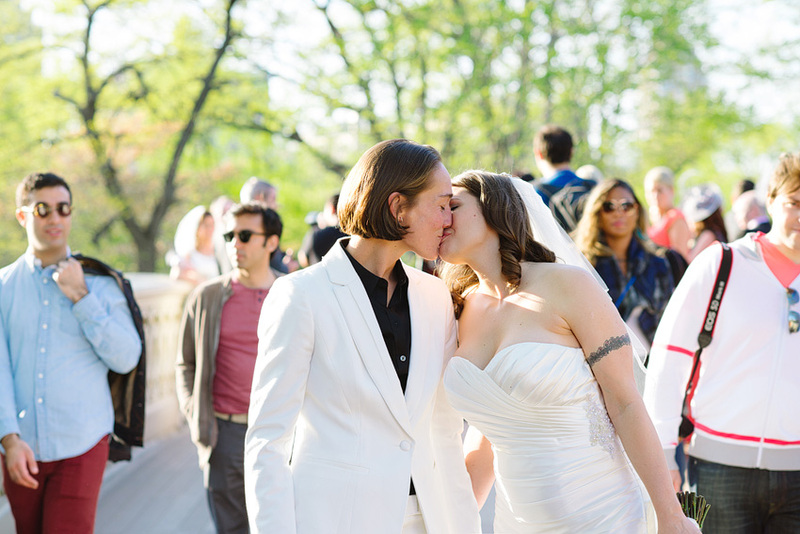 Samantha and Suzanne chose to elope in this springtime lovely chaos and we had plenty of well wishes from the hundreds of tourists. 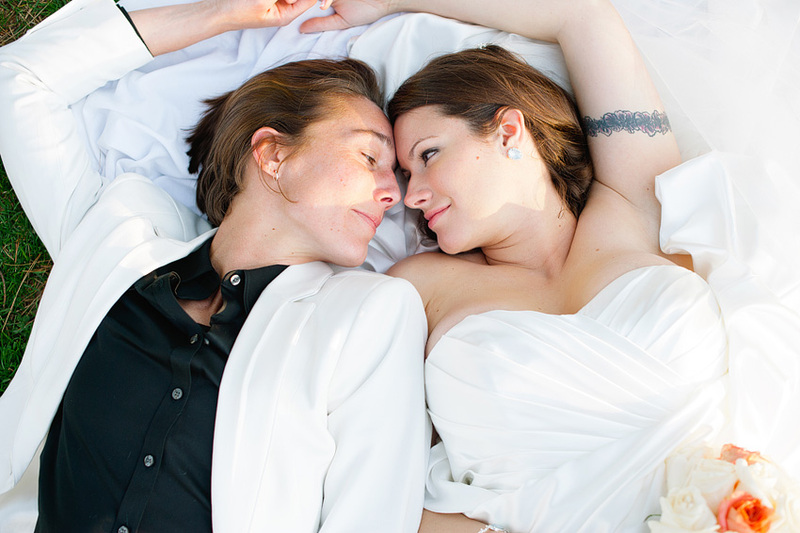 The mellow duo lay down on the grassy hill next to Bow Bridge and watched the clouds pass by early in the day. 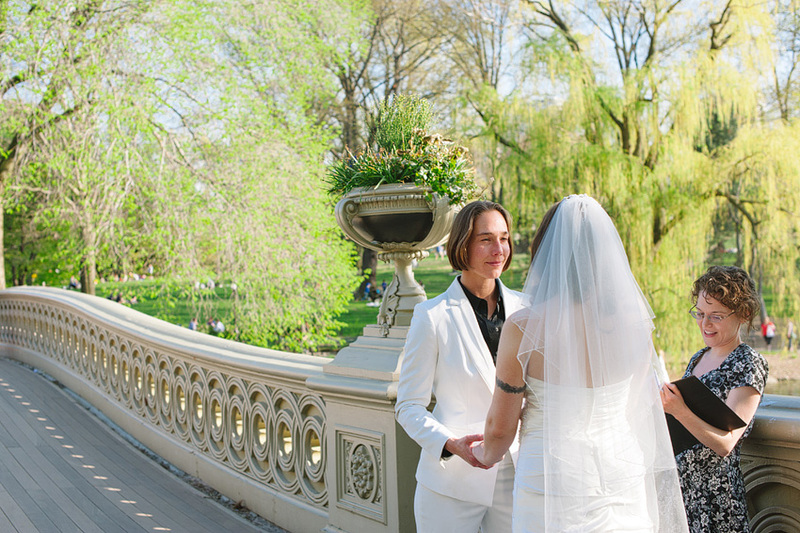 They later exchanged vows on the bridge, and while there weren’t any official guests, plenty of tourists looked on in awe. Weird and just New York. 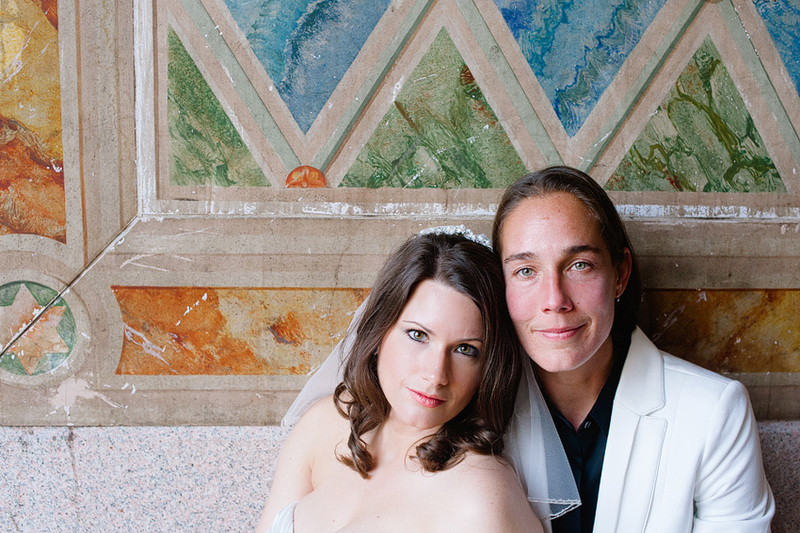 Once the ceremony was over, the two wandered down a secluded path to share some quiet moments as a couple. 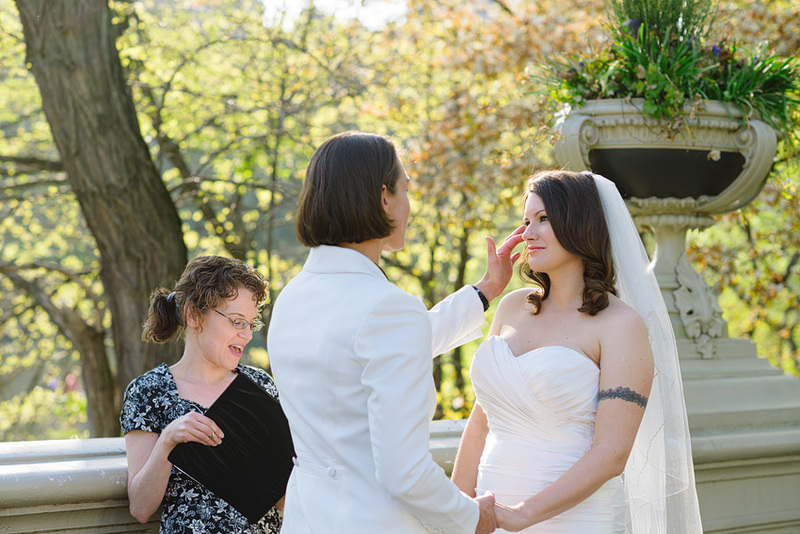 The park’s versatility of both open and intimate spaces adds a lot of appeal as a wedding venue, and Samantha and Suzanne really took advantage of all it had to offer. 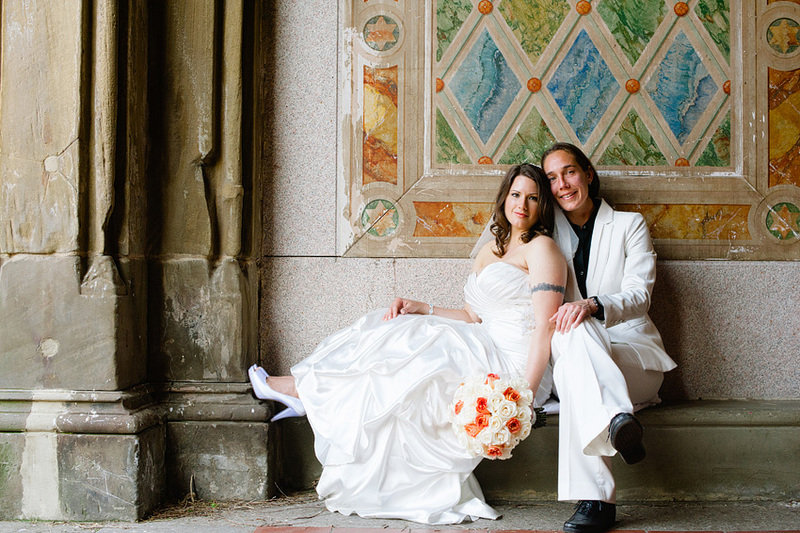 We then headed over to Bethesda Terrace for some more couple shots, where they informed me that Samantha was expecting her second child! 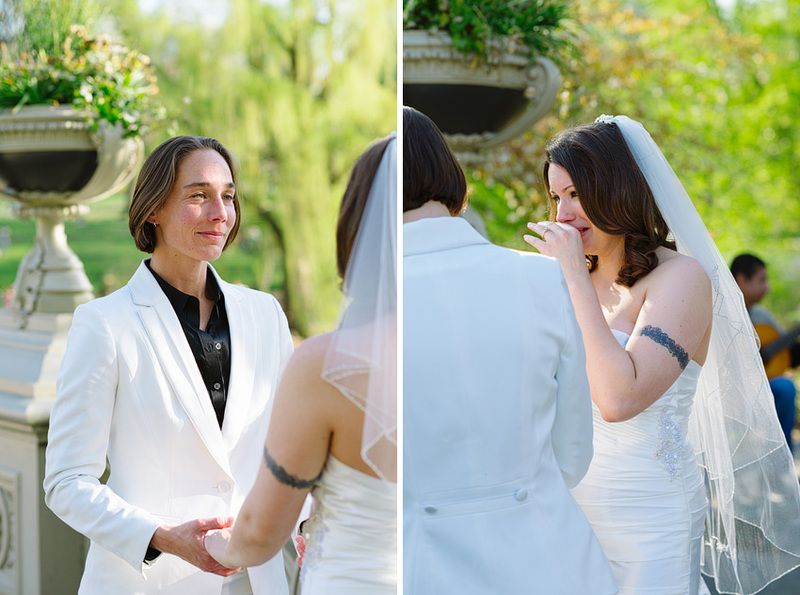 They were legally married now and though many many people forget just how many protections marriage has to offer, it wasn’t lost on these two. I showed them my marriage certificate that I carry around in my wallet in case I need to prove I’m married to Natalie. That certificate holds so much promise for their family. 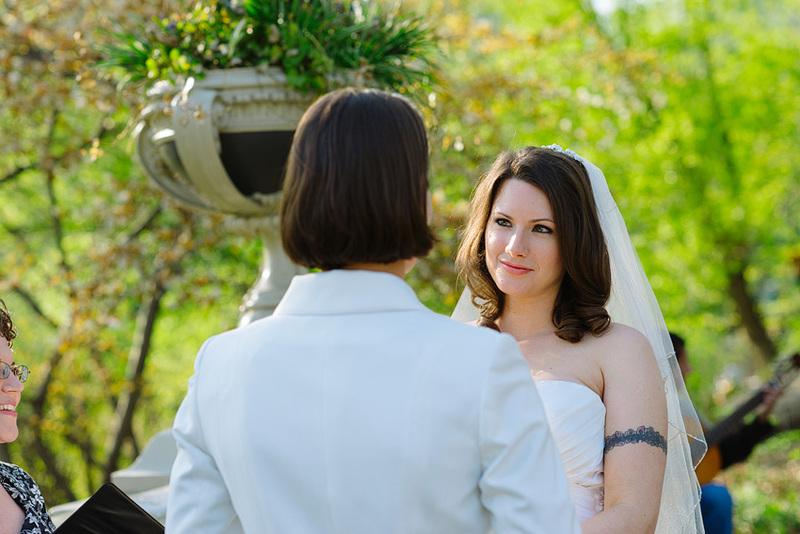 And this Central Park spring elopement was just the jumping off point.